You could be forgiven for thinking my Edmonds Challenge had gone off the boil somewhat…truth is, it had, and for that I apologise. But, dear readers, we are back on the boil, quite literally in fact, as today’s recipe includes broccoli, boiling water and a saucepan. 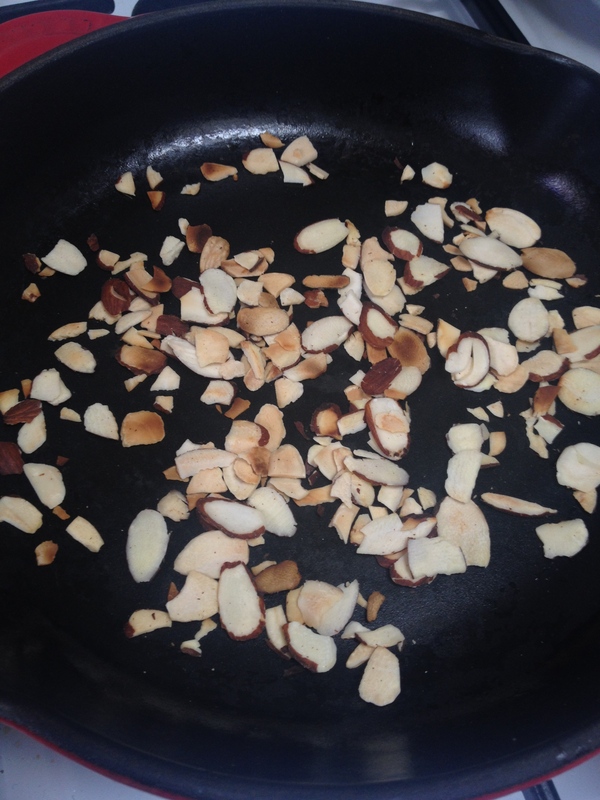 A while ago, I promised a run of almonds as I worked my way through almond recipes in the ‘A’ section of our national treasure the Edmonds Cookbook, and indeed they did as I grabbled with some new treats, including devilled almonds and almond biscuits. 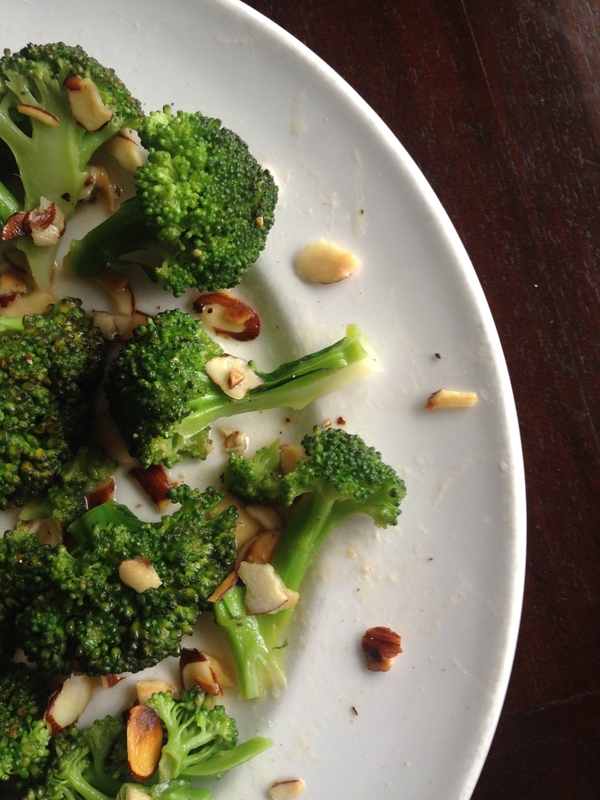 Today we greet the last entry in the ‘Almonds’ section, Broccoli with Almonds. And can I say, what a delight. Lightly cooked broccoli covered with lemony butter and toasted sliced almonds. Oh yum. 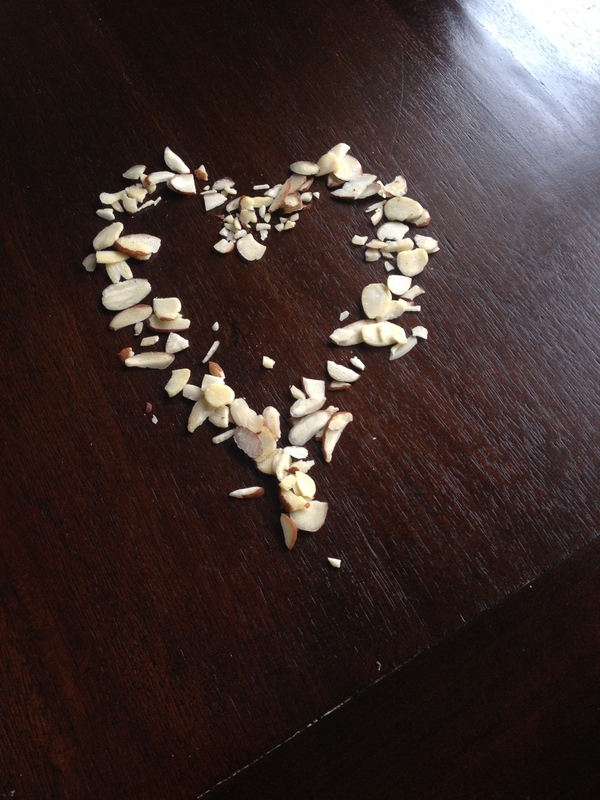 This happy marriage of food with butter and nuts has its own official culinary term, ‘amandine‘, which means food cooked with butter and seasonings and garnished with a sprinkling of almonds. Edmonds’ own take on this delight, a ‘Broccoli Amandine’ if you like, is a little gem. Easy and tasty, it would be a classy and delicious accompaniment to any supper. I chose to accompany mine with a little brown rice for lunch and can report this was a very satisfactory pairing. Cook the broccoli in salted, boiling water until it is just tender. In another saucepan, melt the butter and add the lemon juice, salt and pepper. Add the almonds to the butter mix and spoon this over the broccoli.